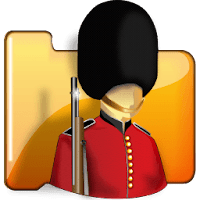 Folder Guard is a security software tool for Windows that let you control access to your sensitive data, to stop other users from peeking into your records. If you share your computer with your business colleagues, family, or roommates you can use the program to lock your personal files and folders with passwords, restrict access to Control Panel and even to completely hide your private folders from virtually all applications, and such folders would remain invisible until you enter a valid password. FolderGuard protects your files without encrypting them. It means that there is no danger of losing your documents if you lose your encryption key: with this special tool all your files remain intact, without modification of any kind. Additionally, It features a special "stealth mode", to hide its own files and shortcuts from being seen by other users. Furthermore, You can choose a specific keyboard combination as the hot key of Folder Guard, to be able to quickly pause and resume the protection of your computer. Of course, the "hot key" is protected with your password, too, only you can use it! Home - for up to 2 computers and home, personal use only. Professional - for up to 3 computers and business or home use. Office - for up to 10 computers and business or home use. Note: This app is powerful and should be used with care. This update offers several minor improvements and corrections. Disclaimer: Direct downloads for the lastest version of Folder Guard 17.7 are provided by the official software's author, we can't guarantee safety, availability or download speed. Moreover, we don't and we won't provide any pirated/illegal versions or tools. We recommend you to avoid it as these methods can harm your device. If you like the software, buy it to support the developers. (We provide software discounts for many worldwide brands).